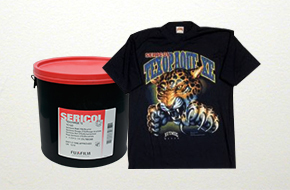 - Texopaque OP & ON is a maximum opacity plastisol which has been developed for print runs of all lengths. The soft handle and creamy viscosity in the container set this product apart from conventional plastisols. Now featuring Co-plus technology, Texopaque OP completely eliminates built-up. - Co-Plus technology for build-up free printing. - Excellent opacity, soft handle, low fibrillation. - Soft gel structure for easy handling-on or off the screen.